The IM REST API provides an interface for sending IM and SMS around the world. To get started, you need to login to our members section to create an authentication token, and use that token within the HTTP headers for every request. 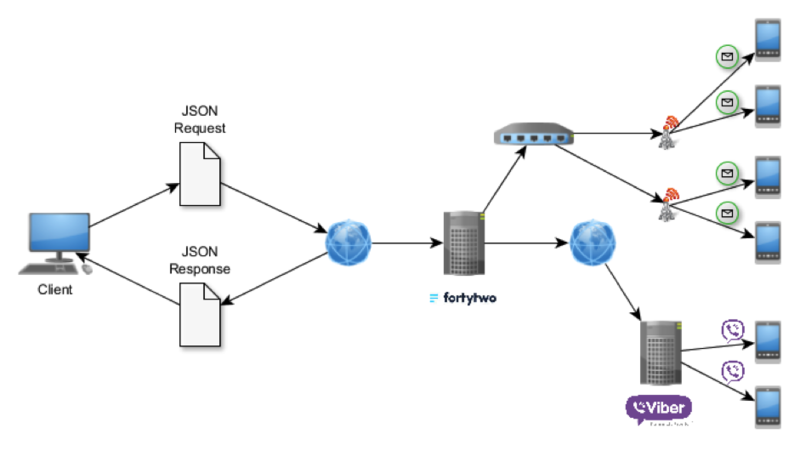 The IM REST web service expects a JSON request that defines the message you wish to send. Your request may include your routing preference, whether it is dependent on cost or on features. The service replies with a JSON response that acknowledges your request, including an identifier for your reference. A call-back service is also available that informs you of the delivery status of a message once it has been processed. Functionality offered by the platform includes the ability to send text, images, action buttons via IM, receive replies from recipients via 2-way messaging, and automatically fall-back on SMS if IM delivery is not possible. You can download our SDKs and Plugins for AMP and also find us also on Github and Packagist.